Light & airy, these traditional French-style crepes are filled with a sweet cinnamon cereal flecked cream cheese spread. 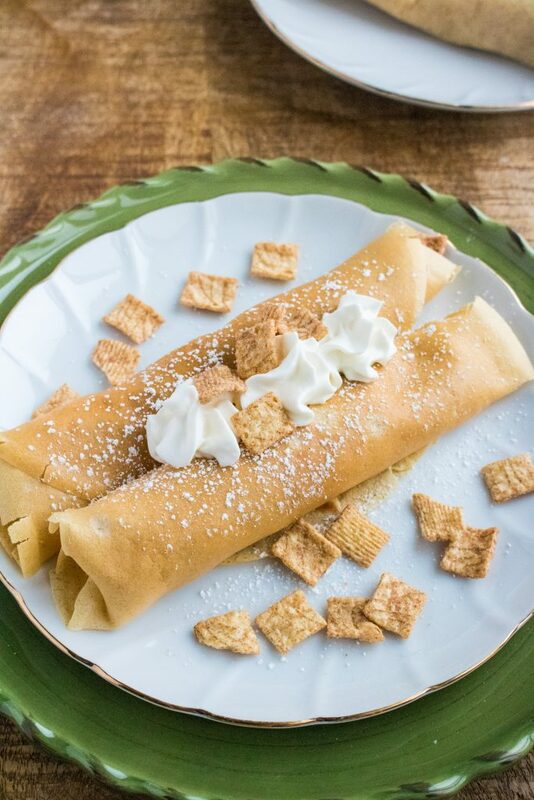 Rolled up, sprinkled with powdered sugar and topped with whipped cream & cereal pieces- Cinnamon Toast Crunch Filled French Crepes are a gourmet dish, on a dime store budget. My favorite breakfast cereal growing up was Cinnamon Toast Crunch, and to this day- I still love it. A bowl, some cold milk, and my favorite cereal equals a great start to any day. 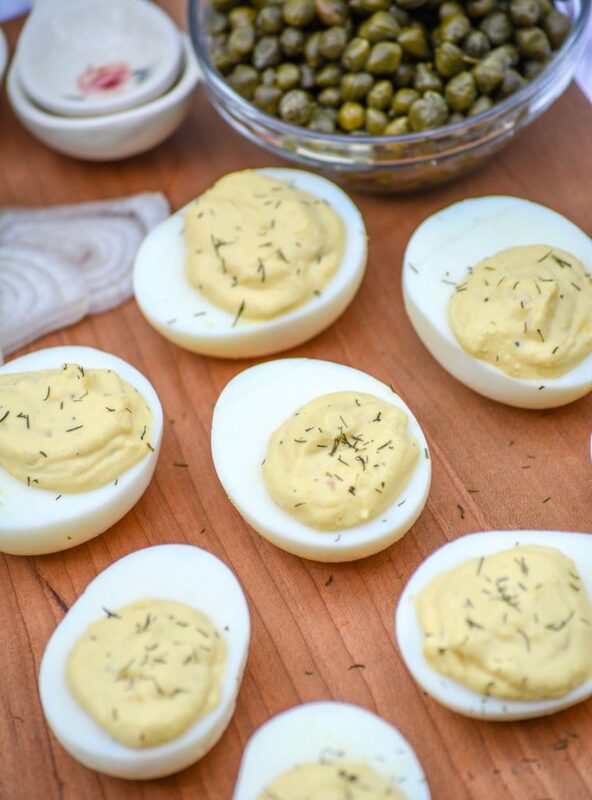 Sometimes though, I want those some familiar flavors, but in a slightly different form. Combining them with crepes turned out to be a genius idea, that made for a heavenly breakfast the whole family wants again and again.